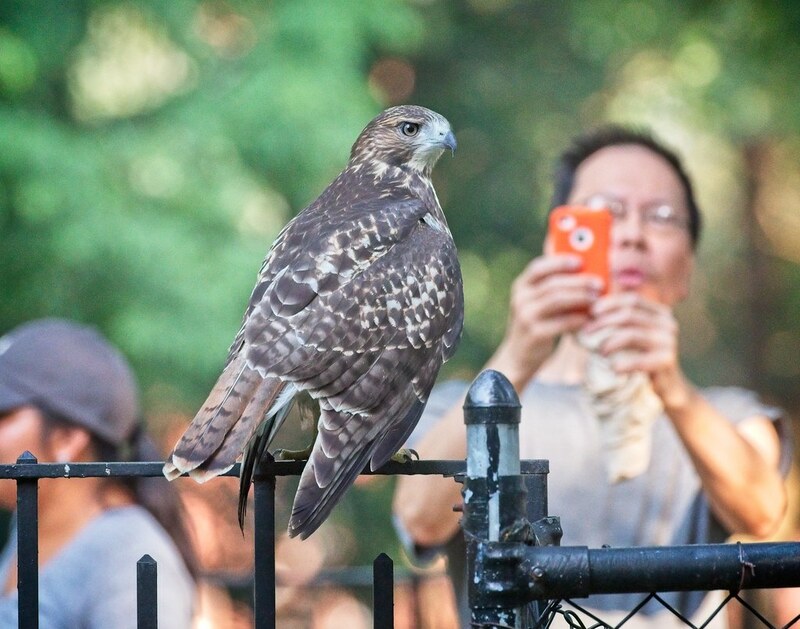 Below are some highlights from this week of the Tompkins Square red-tailed hawk fledgling. He's doing very well, hunting and playing in the park. 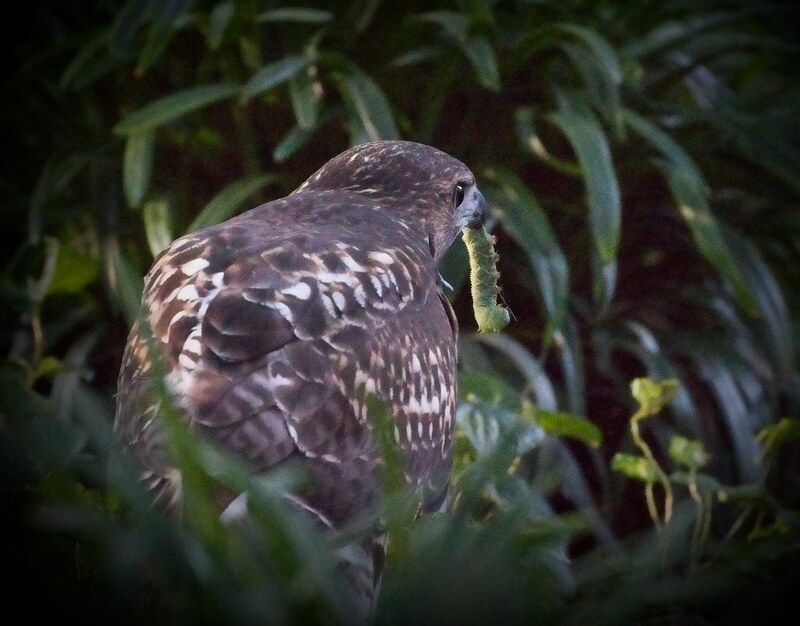 As the days have been so hot, a lot of hawk activity has been happening late in the evening - around 8pm - when the whole family gathers and Christo delivers dinner. The kid is looking great and appears healthy and strong. 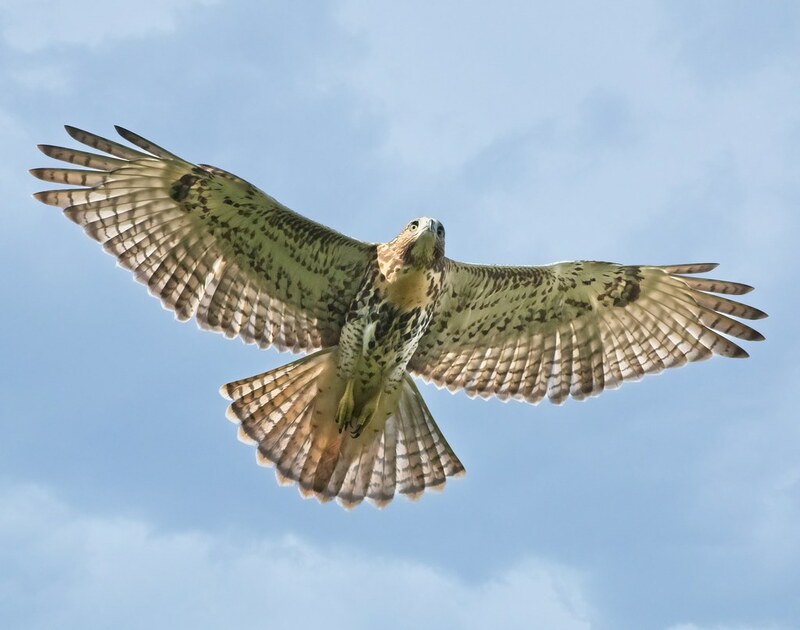 I've been refering to the hawk as a male, although I don't really know. The older sibling was determined to be a male. and this one is smaller, leading me to believe it's also male. I don't have a photo to show the comparison, but he is dwarfed in size by mom Amelia. 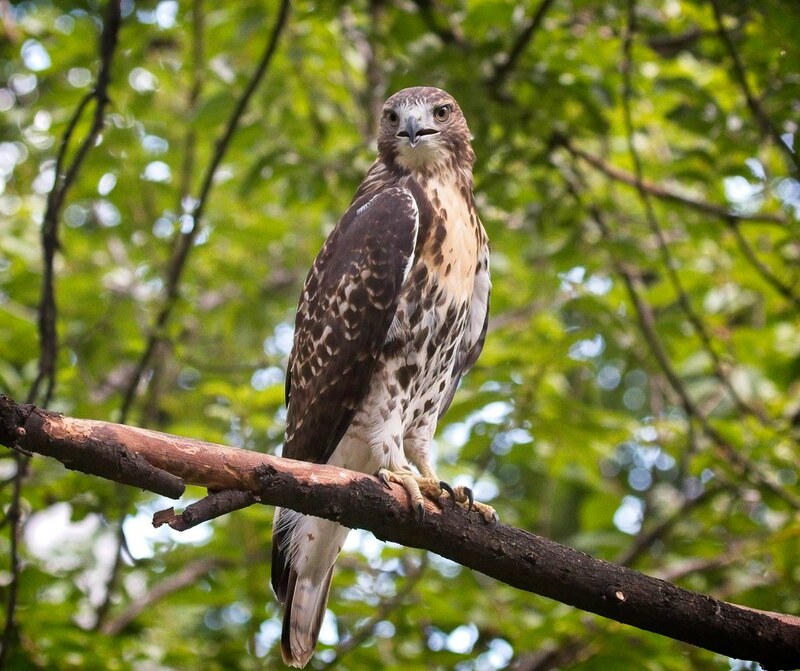 The fledgling is turning into a really beautiful hawk with a distinctive reddish-brown tail. 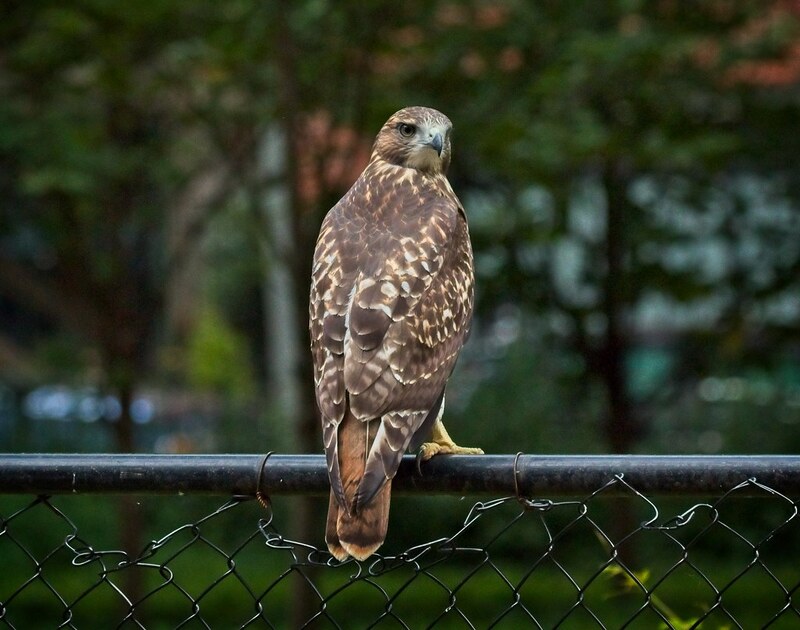 This little guy has a real affinity for the fences in the park. 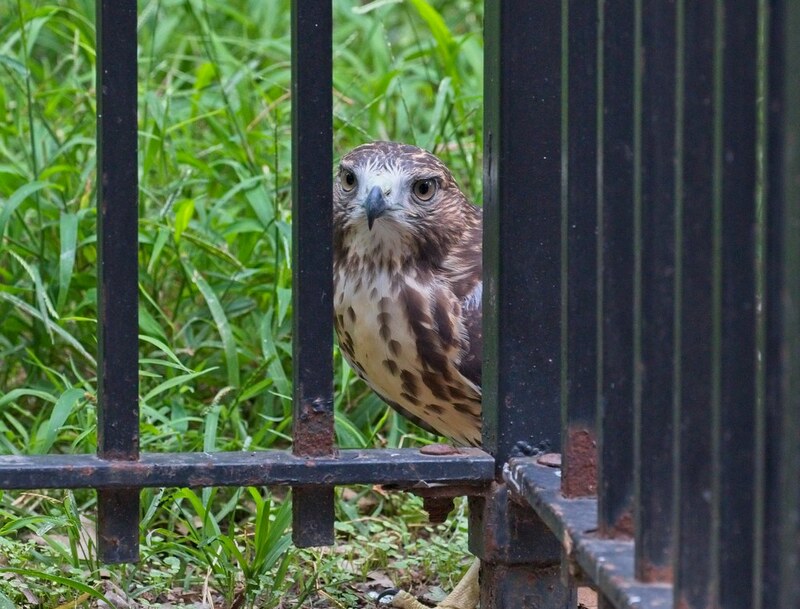 I don't remember any of the previous fledgling playing around between the bars so much. Pieces of wood continue to be favorite playthings. 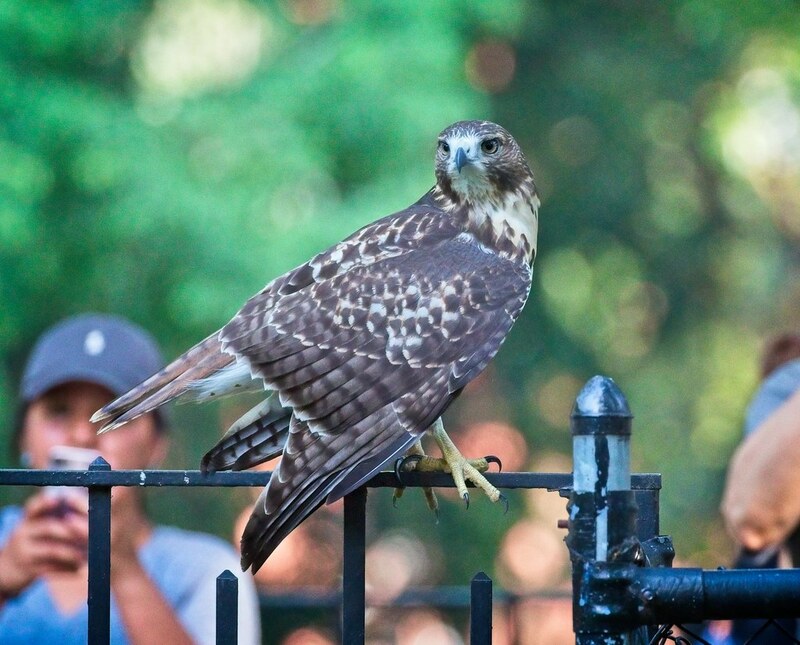 Christo has been leaving dead prey around the park for the fledgling to practice capturing. 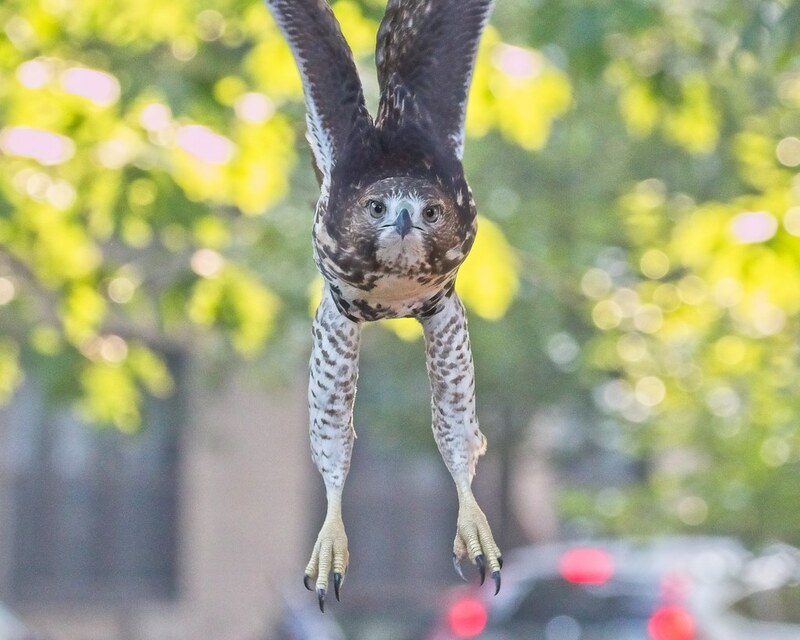 At least three times now, I've seen Christo demonstrate catching prey by jumping down onto it and then calling for the fledgling to come and get it. That's what happened below, where Christo left the baby rat in the grass, then showed the fledgling where to find it. 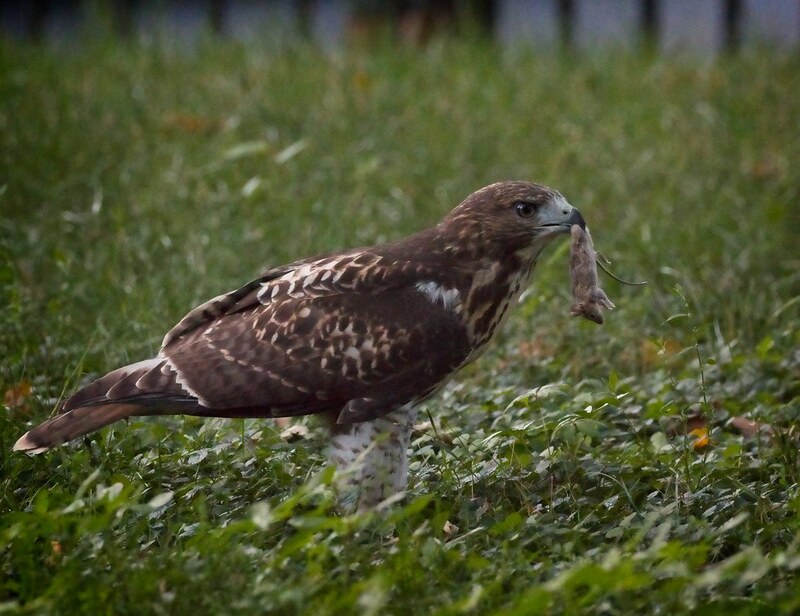 The fledgling has been doing really well hunting on his own. Below, he surprised me by pulling up a big green caterpillar! He's been very accommodating to his fans. 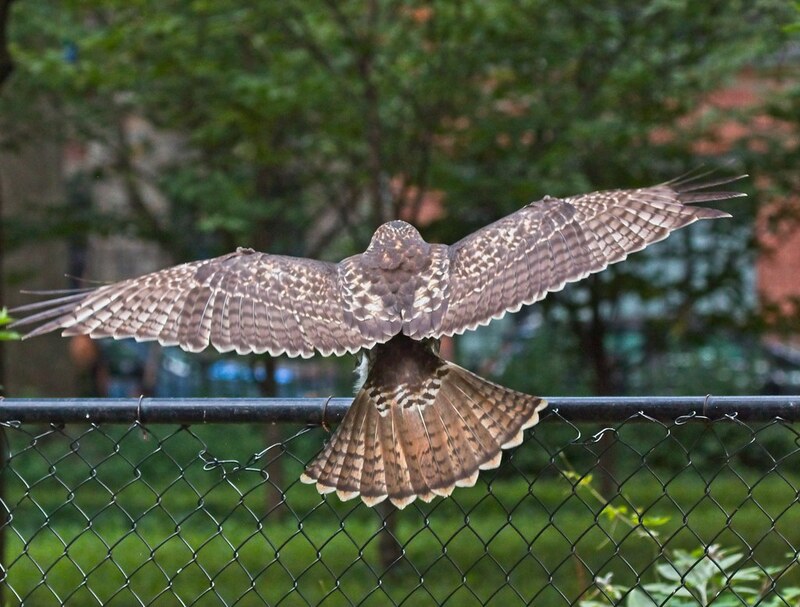 posing for photos on the fences. 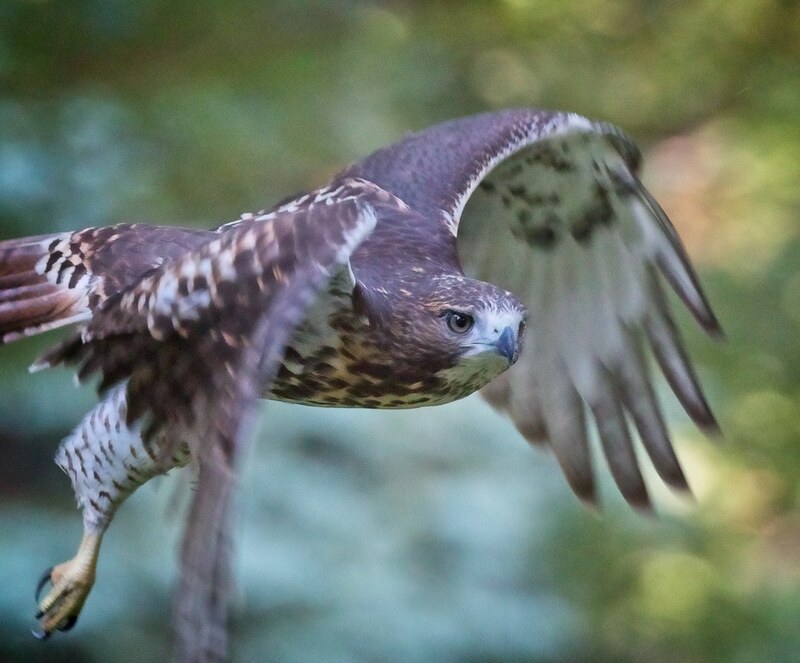 And, finally, soaring. 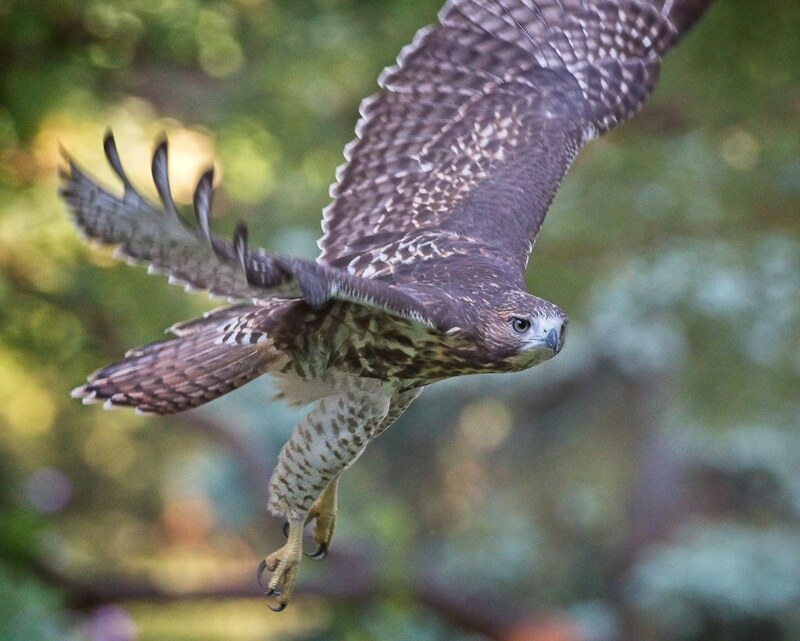 I really haven't seen the fledgling fly very high yet, but this last week, he's been flying above the trees and leaving the park. It's wonderful to see him growing up and exploring. 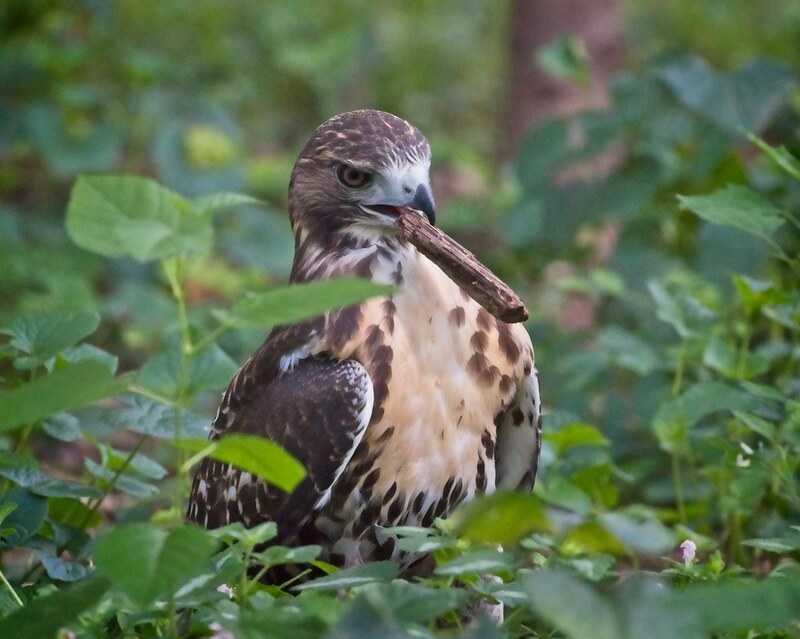 You can see many more recent hawk photos on my Flickr page.